Fast and Affordable Building Plans that include all the structural calcs and building control drawings required for your Home Extension, Loft Conversion or Renovation Project all in one package thats right for you. ​No hidden surprises, everything you need to get building. As well as Building Plans, your project may require Structural Engineer Building Calcs, or other professional services. Unlike many traditional Architectural Practices Your Build Plans can supply you with all that too. We can even help you to source a quality builder for your project if you need help with that too. 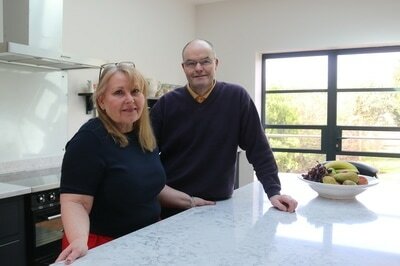 Mr & Mrs Barker were looking for a larger kitchen that was functional and practical as well as being contemporary and stylish. It also needed to focus on maximising natural light and connecting the home to the rear garden. A small rear kitchen extension to a private property in Doncaster, South Yorkshire. A Simple design that focused on maximising the available natural light and connecting the kitchen to the back garden of the property. If you are just beginning to think about a Home Extension Project, the yourBuildPlans ​Information Portal if your essential guide. Everything you need to know about extending your home, along with invaluable tips, advice, ideas and case studies to give you ideas. yourBuildPlans provide three Building Plan packages, from a budget DIY solution to the complete package.